From the moment you enter LifeLens, we have you in mind. We have created a welcoming environment where you can take a deep breath, and relax before a cozy fireplace with a hot beverage or cold bottled water. Our hope is that you will feel somewhat relieved of your distress as you walk through our doors. The team at LifeLens Psychological and Counseling Services has a singular purpose, that of Helping Build Fuller Lives. 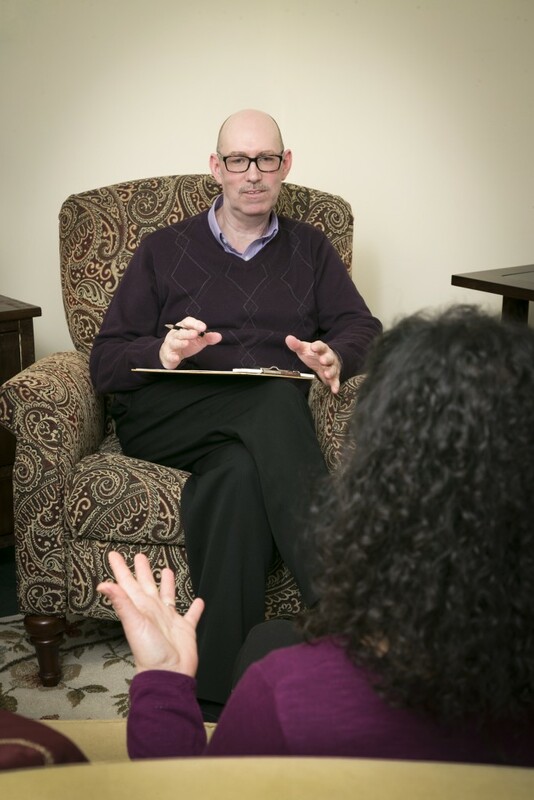 Each therapist is committed to helping each client through our process we call Discovery, Development, and Direction. The psychologist Marshall B. Rosenberg wrote, “Every criticism, judgment, diagnosis, and expression of anger is the tragic expression of an unmet need,” and the psychologist David Richo wrote, “Our wounds are often the openings into the best and most beautiful part of us.” People may experience emotional distress without being able to identify underlying factors or without clearly identifying their own underlying needs. The LifeLens therapists are equipped to assist each client in the process of discovering “what makes them tick,” factors that contribute to their feelings of distress, or clarifying their challenging issues. Examining our emotional wounds is often the beginning of the discovery process. LifeLens therapists assist clients in their development of perspective and strategies to manage their lives differently. These strategies are geared to help improve emotional responses to stressful life circumstances, to help develop constructive conflict resolution capability, and to help clients implement more successful problem solving. LifeLens’ therapists consider it a privilege to accompany clients through a part of their lives’ journeys, identifying a direction that brings fullness of their lives. Each person who enters therapy has an experience unique to them. Research however, describes three common phases or responses that people in therapy may experience. It is helpful to keep these in mind in order to have realistic expectations of the therapeutic process and the outcome. Phase 3 is rehabilitation, in which a person makes life changing gains in their functional ability. LifeLens therapists encourage their clients to participate fully in the treatment process until life changing gains are made, thus attaining our objective of Helping Build Fuller Lives.